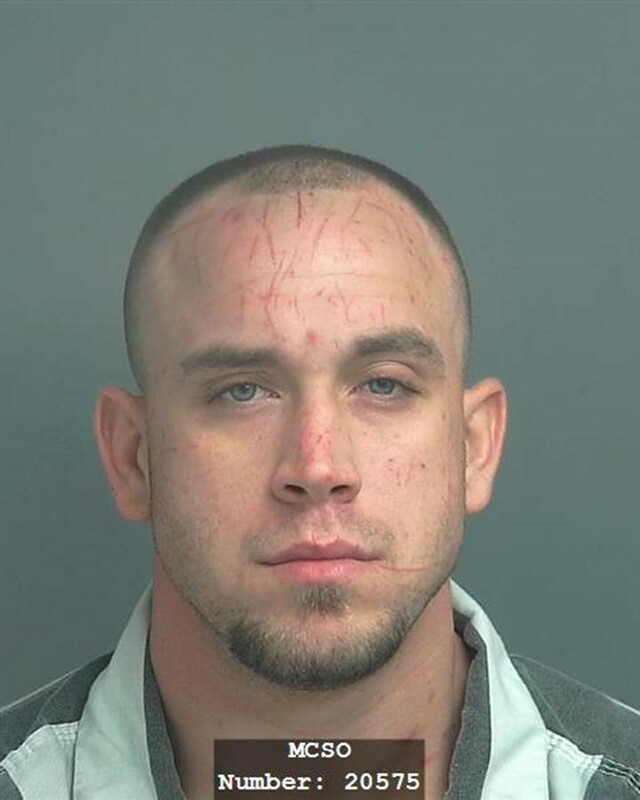 On April 27, 2018, in the early morning hours, the Montgomery County Sheriff’s Office responded to an aggravated assault in which a victim was struck in the face with a shovel handle while he slept. The victim was transported to the hospital where he is in critical condition with life threatening injuries. MCSO Homicide and Violent Crimes Unit is working the case and has identified the suspect and is requesting the public’s assistance in locating him. Thomas Lyn Barringer, a white male born May 22, 1991, 5’09” tall weighing 195 pounds has an active warrant for Aggravated Assault. Barringer is believed to be dangerous and the Montgomery County Sheriff’s Office requests he not be approached by the public. Barringer was last seen in the area of Motel 6 in Cleveland, TX. Anyone with information regarding Mr. Barringer or this crime is asked to contact the Montgomery County Sheriff’s Office at 936-760-5800 or Crime Stoppers at 1-800-392-STOP (7867) and refer to case number# 18A114015.